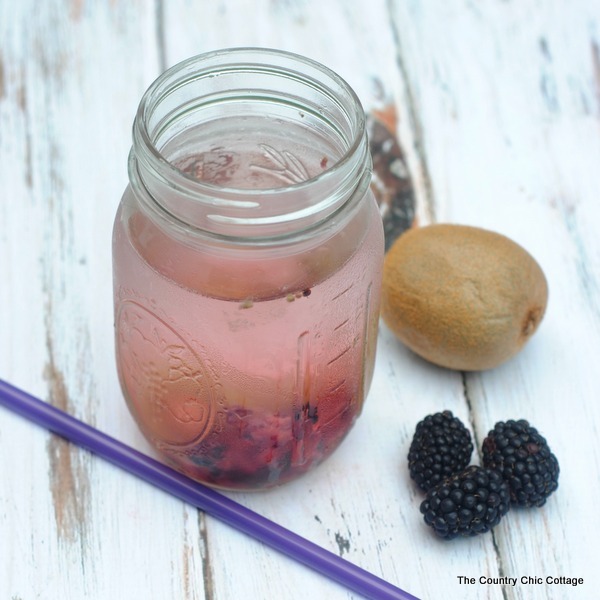 Add the fresh blackberries and kiwi slices to the bottom of the jar and mash them up a bit using a large spoon – doing this will release the berries flavor into your water. Once your fruit is mashed simply fill the jar with water. Mix in sweetener if desired. Refrigerate overnight for maximum flavor. **If you’re opting to use a larger quart size jar simply double the fruit ingredients. 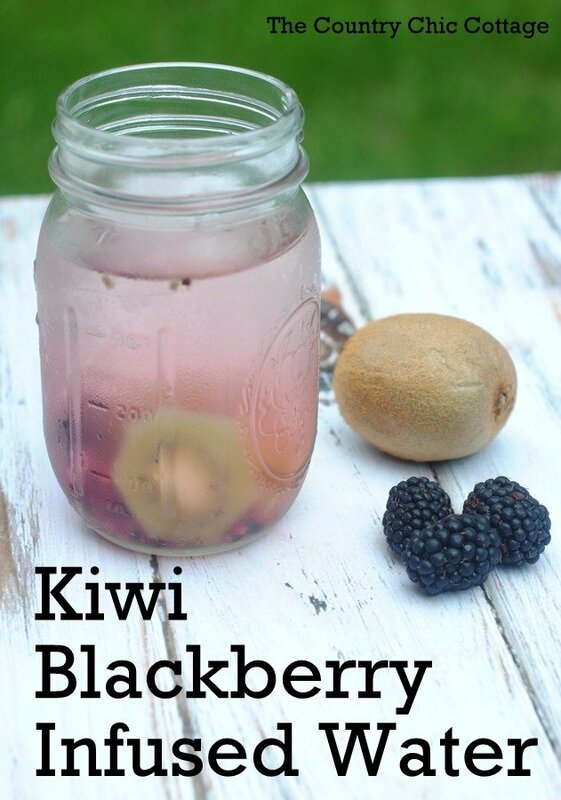 Get the amazing flavor of kiwi and blackberry together in this infused water recipe. 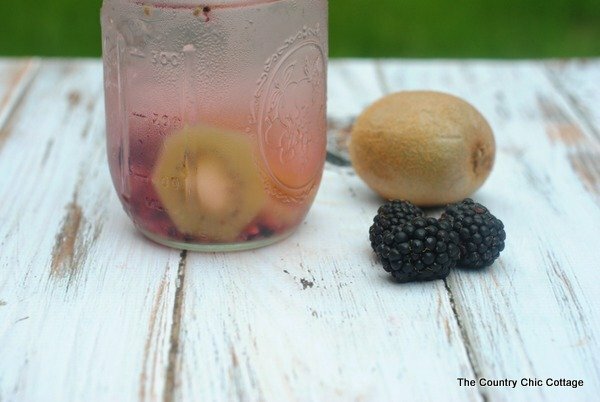 Adults and kids alike will love the taste of infused water! Wow! That sounds like a really interesting combination!